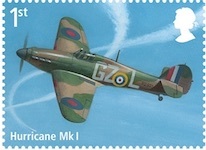 We try to be the web's number 1 resource for up-to-date news about new stamps of Great Britain. The 2018 stamp programme has now been announced and it reinforces Royal Mail's intention to garner more money from fans of popular entertainment and reduce their reliance on stamp collectors for cash. Nonetheless the programme (below) shows several months with two stamp issues - including the summer when in olden days there were none! 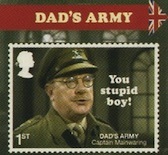 - with each set costing around £7-8 just for the basic stamps. 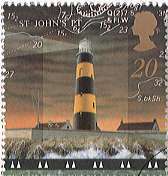 This website - and eventually the business - was created twenty years ago in 1998 with the Lighthouses stamp issue. We have recreated and updated those pages here. The story of our 20 years (so far) is on the blog here. As it is much quicker for us to write a blog entry than to update a website, our very latest news will be on our blog. The last 4 blog entries are summarised in the column to the right. E-MAILing us: Many pages have clickable 'email' links. If you write, please use the SUBJECT line in your mail to indicate which stamp issue you are writing about. 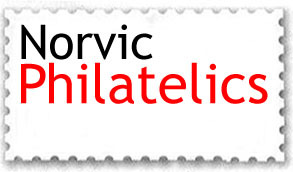 COPYRIGHT This website is copyright Norvic Philatelics; please ask for permission before using this material. 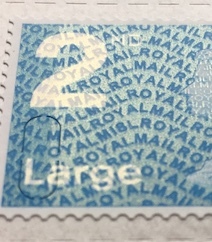 All pictures of new stamps and other Royal Mail products are copyrighted by Royal Mail and are reproduced here with their kind permission. Webmasters, publishers, students and schools may copy Royal Mail images from our site, but the use of these images must be cleared with Royal Mail Intellectual Property office by clicking on this link. Please do not 'hotlink' to our images; if you want to use them, copy them (right click) and host them on your own space. Thank you! If you need anything for your collection which isn't shown here - please ask, we may have it. Our webshop has stamps, fdcs, booklets, postal stationery, world postal history, maximum cards, picture postcards, with integrated shipping and payment facilities. We also have a site devoted to the stamps and postal history of the countries of the Former Soviet Union in the 1990s. 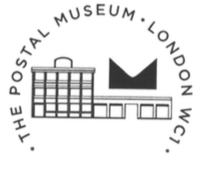 This is a fascinating area of modern postal history and we hope to find time away from GB new issues to develop this site to show material from Ukraine, Russia, Azerbaijan, Georgia, Armenia, Uzbekistan, Lithuania etc, as well as Belarus which is already shown. You can see it here. 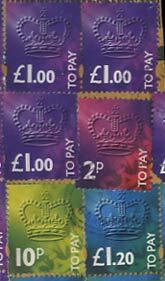 For my personal collection I am interested in buying examples of the 1994 issue 'To Pay' stamps properly used on cover or parcel piece. The values issued are 1p, 2p, 5p, 10p, 20p, 25p, £1, £1.20 & £5, all in the same design. The next Norfolk & Norwich Philatelic Society Stamp and Postcards Fair will be on 6 April 2019 Details will be here. Information on external sites is the responsibility of the respective site owners. We review links periodically to ensure that they are still valid and apologise for any 'broken' links that there may be. If you find any links which are broken or which are no longer relevant, please email Broken link and we will investigate and make corrections where we can. Thank you. 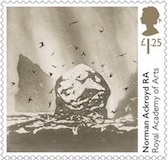 Details of new special stamp issues have been added to our blog with links below. This applies to Captain Cook's Voyages, The Old Vic, Mail by Bike Post and Go, and the final World War I Centenary issue. We also have details of a Commemorative Sheet added to the stamp programme on 10 October. thank you to all our contributors and readers! where you can take part in discussions on a wide-range of philatelic subjects, learn from the expertise of others, and maybe help other collectors. Click on the banner to read and join in. Stampboards - please read the forum rules and, once registered, introduce yourself in the appropriate message thread. *Only between 0900 and 1700 UK time please Monday - Friday. (Before calling, please check UK time shown at the top of the page!). Many people now have 0845 calls in a package. If you do not, & do not want to pay for phone calls, please email, or TEXT to 07765 858 457. Our signal strength varies and texts get through easier than calls! join the Association of GB FDC Collectors - click the logo. Buying from outside the United Kingdom? 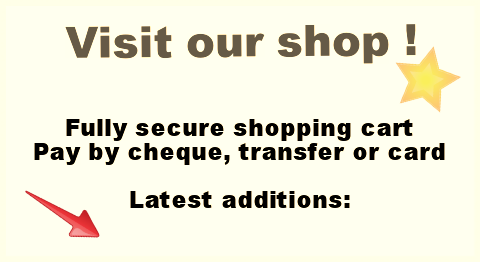 Pay us with your Visa, MasterCard, or American Express card through PayPal! Within the UK pay quickly by bank transfer! Ask for details! Pages for GB Stamp Issues. From this date details are in the blog, no new pages have been added to this site. Royal Mail launched the 'Smartstamp' - a stamp which can be printed from personal computers in homes and businesses throughout the country. Read more about the system and see examples here. Royal Mail launched a new online postage facility today which, unlike Smartstamps, has no monthly or annual facility fee and, unlike Smartstamps, is not restricted to people who use Internet Explorer as their browser. The 'stamp' impression is the same as for the latest Smartstamps version. Behind the address the service is printed in microprint. You can see a sample cover here - click Back to get back to this page. 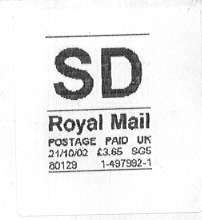 In October 2015 Royal Mail announced that the Smartstamps system would be closed from 31 December 2015. See discussion on the blog, by system users. In August 2017, the closure of Online Postage was announced for March 2018. Although Royal Mail had a monopoly on the delivery of mail, since 1981 charity groups, principally Scouts, Guides and Church Groups have been permitted to arrange the collection and distribution of greetings cards each year for a limited period before Christmas. See a selection of Scout Christmas Post Stamps here. Click here to read more about this new phase of modern postal history. Updated 22 September 2003 with labels in new typeface and layout. our blog, on the Delphi Stamp Collecting Forum, and on Stampboards forum.